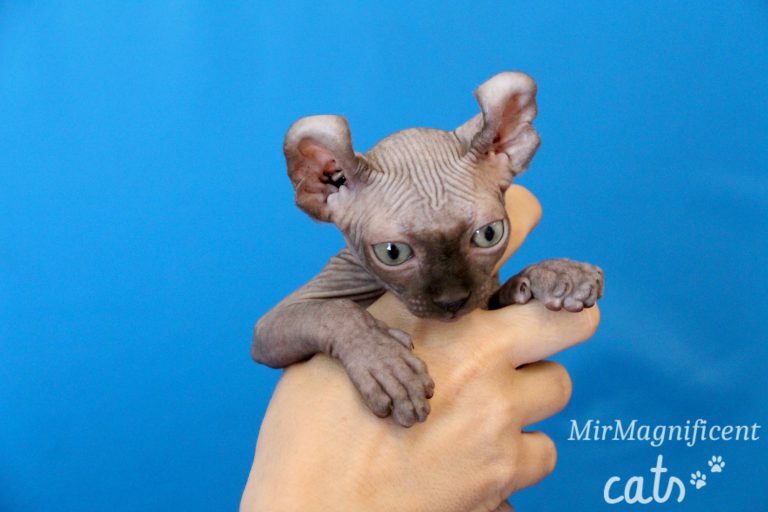 MAGNIFICENT is a cattery of Elves, Bambinos and Canadian Sphynxes. We don’t cage animals in. Our cats are members of our family. Our «magnificent» cattery is enclosed. It means that we don’t take cats from other catteries for animal breeding and we are not interested in mating with unfamiliar cats. 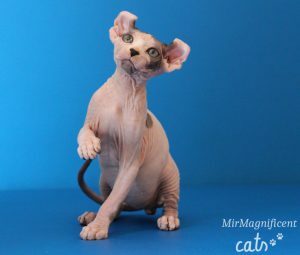 In our cattery you can find yourself an Elf, Sphynx or Bambino kitten both for home and family, and for exhibitions and breeding. Our kittens leave home when they are at least 3 month old. 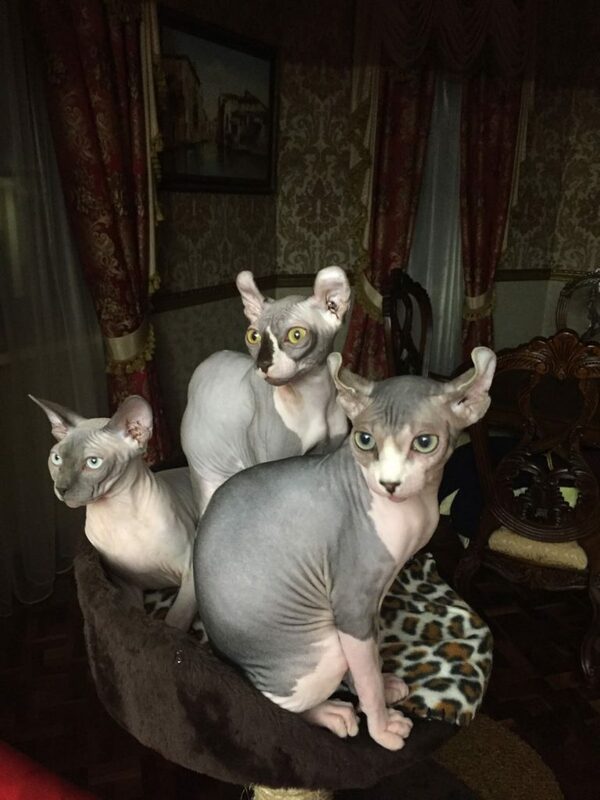 By this time kittens are already socially adapted, dewormed, vaccinated and have a document, certifying the origin of the animal (pedigree or metric). We are always happy when customers ask questions about our cats. And no matter how trifling the question is, we will always help you and give you advice. 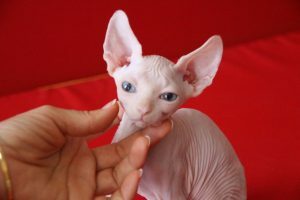 Canadian Sphynxes are amazing, warm and loyal creatures. Their love is sincere and selfless. They are sociable, sweet and trusting. 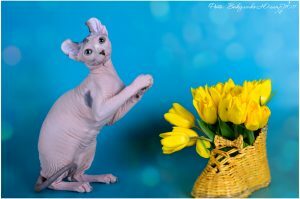 Canadian Sphynx is a wonderful friend! Bambino is a cat that will remain kitten up to the old age. Nature endowed Bambino with easy-going temper, cheerful nature, high intelligence, good will and the need for constant communication. Sometimes Bambinos are compared to monkeys because they’re mobile, restless and playful too. They love children and get along with other pets: even the birds arouse their friendly (not a gastronomic!) interest. These cats will love active games up to the old age! Elf. Name of this breed associated with the Celtic legends and fairy-tale characters. These cats can be called fantastic, indeed. 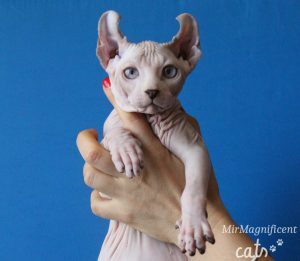 Elf is unlike ordinary cat: from unusual appearance on out to wonderful character. It’s like a fairy tale to have such a pet at home, isn’t it? 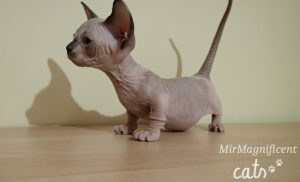 It should also be mentioned that the Elf is one of the youngest, rarest and most expensive breeds of cats in the world. 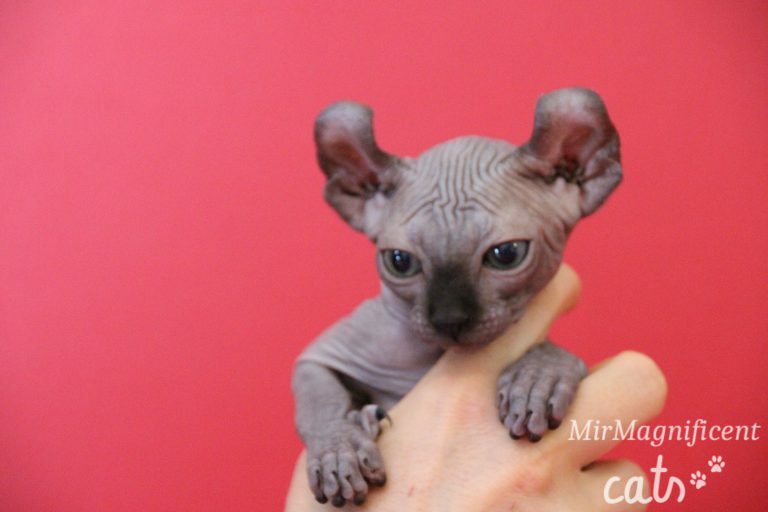 Elves are friendly, very sociable and affectionate cats. They can sit for hours on owner’s knees or just next to him. Elves do not make preferences in the family; they love all its members equally strong, including other animals. Cats of this breed get along well with all pets, especially if they live with them since they were little. Elves are playful and moderately active, they love to be in the spotlight. 1We don’t cage animals in. Our cats are members of our family. Our «magnificent» cattery is enclosed. It means that we don’t take cats from other catteries for animal mating and we are not interested in mating with unfamiliar cats. 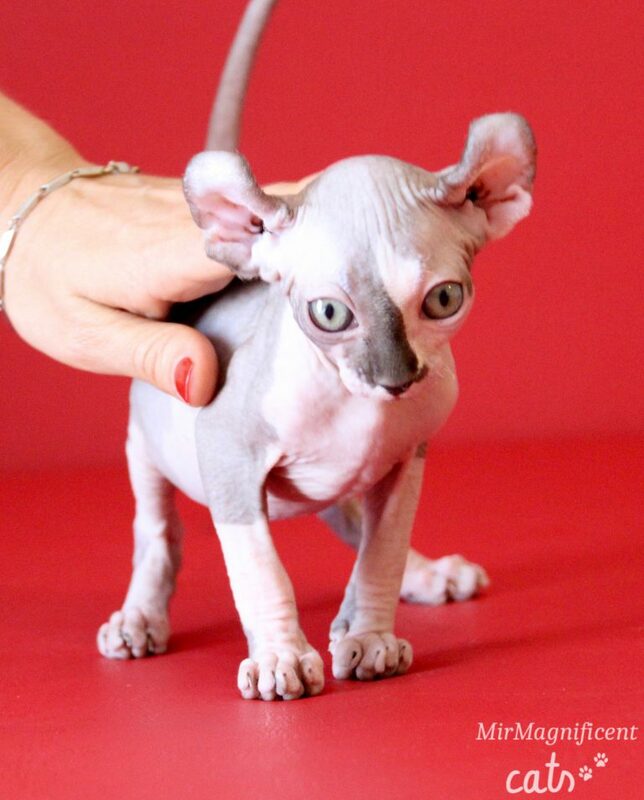 2In our cattery you can find yourself kitten both for home and family, and for exhibitions and breeding.